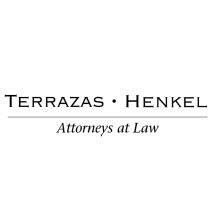 Terrazas Henkel, P.C., in Missoula, Montana, is an established and effective law firm representing clients throughout the western part of the state in a variety of legal matters. Our lawyers are experienced and confident legal advocates who are tenacious in court and persuasive in negotiations. They are frequently referred cases by other attorneys because of their ability to resolve the most complicated cases to their clients' satisfaction. Personal injury: Representing the injured and their families in personal injury and wrongful death claims involving car accidents, work accidents and other serious injury situations. Family law: Providing considered counsel in divorce, child custody, child support, adoption and other legal matters involving families. Real estate: Advising residential and commercial clients in real estate transactional matters and providing representation in litigated disputes. Employment law: Representing employee interests in claims regarding discrimination, harassment, unpaid wages, wrongful firing, breach of employment contracts and other employment-related legal concerns. Estate planning and probate: Helping people to plan for later life using wills, trusts and medical planning documents, including living wills. Our law firm is deeply committed to providing top-quality service. We listen to our clients, evaluate their concerns and provide considered advice intended to enable informed decision-making. When our clients ask us to do something, we do it — plain and simple. You can count on our law firm to help you through your legal issues, whether they involve divorce, injury, property, work or planning for your later days. For more information, contact Terrazas Henkel, P.C., in Missoula, Montana, today.